Game has ended. Thank you for your participation! 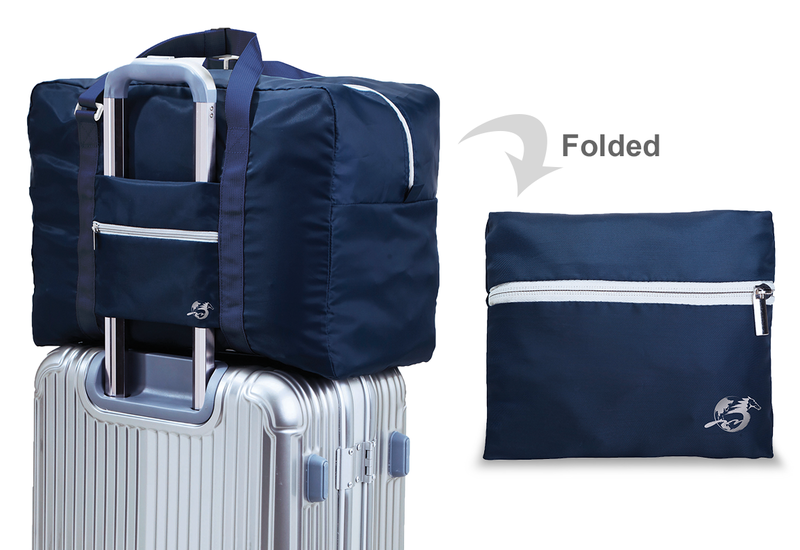 Win a Foldable Luggage Tote*! Drag the 9 fragments to finish the puzzle game. The first 7,000 participants to successfully finish the game and submit their personal information successfully on or before November 30, 2018 will win the prize. By joining this game, participants are deemed to have agreed and accepted these Terms and Conditions (which shall include without limitation the game instructions and winning criteria) and undertake to comply with all applicable laws and regulations in the course of participating in this game. All participants must be at least 18 years of age and hold a valid Hong Kong Identity Card. The registered name of the participant must be the same as shown on his/her Hong Kong Identity Card. All prize winners will be required to present their Hong Kong Identity Card original copy for verification upon prize collection. All participants must submit their information correctly and accurately to constitute a valid entry. The game will end at 11:59pm on Nov 30, 2018. Only the first 7,000 participants who successfully finish the game within the game period and submitted their information successfully will each be entitled to a prize, and no other criteria (including any element of chance) will be used, involved or relied on for determination of prize entitlement. Each participant can only win one prize, awarded for his/her first submission with the required result and information, and deduplication of a participant’s submissions (hence, identification of his/her first submission) shall be based on the combination of all information submitted. Validity of game entry and game entry time are measured by The Hong Kong Jockey Club’s computer system. Any entry that is made beyond the specified game campaign ending time will not be accepted. Proof of dispatch cannot be accepted as proof of submission of any entry. The Hong Kong Jockey Club does not accept responsibility for any loss, damage, error, omission, interruption, deletion, defect, delay in operation or transmission, communications line failure, theft, destruction, alteration of, or unauthorized access to entries, or entries lost or delayed arising during operation or transmission whether or not as a result of server functions, virus, bugs or other causes outside its control, or any other loss howsoever caused. Results of the game will be published on this page on Dec 6, 2018. Winners will be notified individually between Dec 6 to Dec 7, 2018 by SMS text message and given details of prize collection. Winners who have provided an incorrect mobile phone number will be disqualified. The Hong Kong Jockey Club shall not be responsible for any loss or damage arising from delay in transmission of text messages. No prizes will be granted after the designated prize collection period. Prizes must be redeemed at the designated counter at Sha Tin Racecourse within the specified hours on Dec 9, 2018 only. Prizes are limited in quantity and redeemed on a first-come, first-served basis. No free admission will be provided for prize redemption purposes. Redemption by third parties is not allowed. Prizes and/or SMS text messages cannot be exchanged or redeemed for cash and are not for resale purpose whether with the intent to make profit or not. Employees of The Hong Kong Jockey Club and their immediate family members are not eligible to participate in this game. 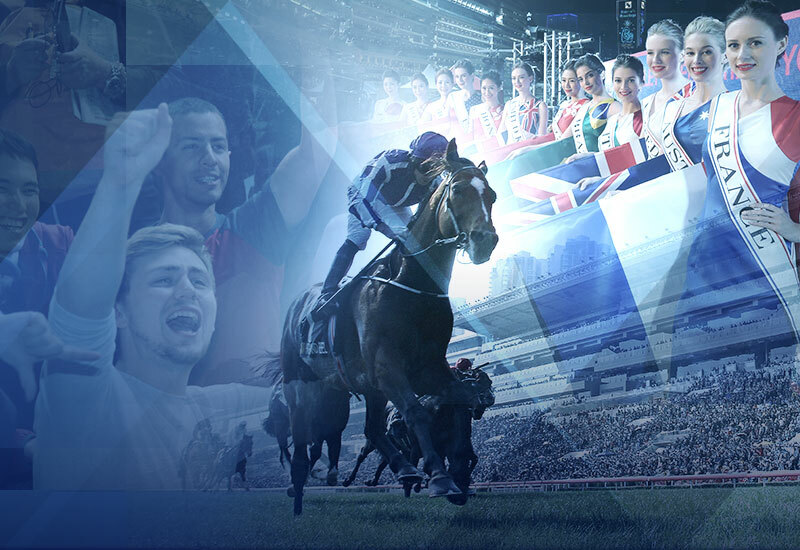 The Hong Kong Jockey Club reserves the right to verify the eligibility of all game entrants. The Hong Kong Jockey Club is not the manufacturer of the prizes. The Hong Kong Jockey Club does not accept any liability for the quality of the prizes, therefore to the maximum extent permitted by law of the Hong Kong Special Administration Region, The Hong Kong Jockey Club does not accept any responsibility or liability whatsoever for any damage, loss, death or personal injury arising from or in connection with the use or enjoyment of any of the prizes. The use and enjoyment of the prize by the winner is subject to the terms and conditions of the supplier and any dispute arising from the use and enjoyment of any of the prizes shall be resolved between the winner and the supplier directly, for which The Hong Kong Jockey Club accepts no responsibility or liability whatsoever. Further, the actual appearance or colour of the prizes may differ from what is shown in the photos. Entrants must take care of and be responsible for their own personal belongings and safety. To the maximum extent permitted by laws of the Hong Kong Special Administrative Region, The Hong Kong Jockey Club will neither be responsible nor compensate for the loss or damage to any property nor any injury or death sustained by entrants. The Hong Kong Jockey Club reserves the right to amend any of the Terms and Conditions (including without limitation, the prizes and/or any redemption details) at any time without prior notice. In cases of disputes regarding the Terms and Conditions, conduct, results and all other matters relating to this game, the decision of The Hong Kong Jockey Club shall be final. The Hong Kong Jockey Club reserves the right to use video footage and photos of the winners for promotion and marketing purposes (including without limitation, organisation of any other activities in connection with this game and/or the subject matter thereof). All participants expressly confirm that they have read and understood the Notice relating to the Personal Data (Privacy) Ordinance at www.hkjc.com/english/corporate/corp_privacy.asp. This game and these Terms and Conditions shall be governed in all respects by the laws of the Hong Kong Special Administrative Region. Each participant is fully responsible for ensuring that his or her participating in this game is lawful in accordance with laws of the Hong Kong Special Administrative Region and any other applicable laws. The Club shall not be taken to make any representations, express or implied, as to the lawlessness of any participation. The Terms and Conditions are available in both Chinese and English versions. In the event of any inconsistency between the two versions, the English language version shall prevail.